It's time again for another Scrappin' Silhouettes Sketch! Here's my take on Sketch #14. Here's a layout of our sweet Butterball at 8 weeks old. Products used: Bazzill and SU cs, Pebbles dp, Versacolor inks, machine stitching, AC Thickers and Identi-pen. 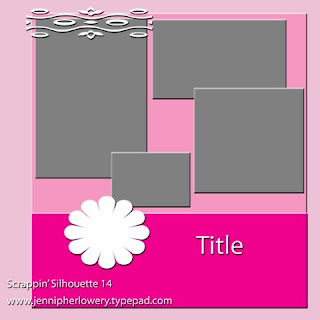 I cut the bone and paw prints border out from my Silhouette Digital Craft Cutter. 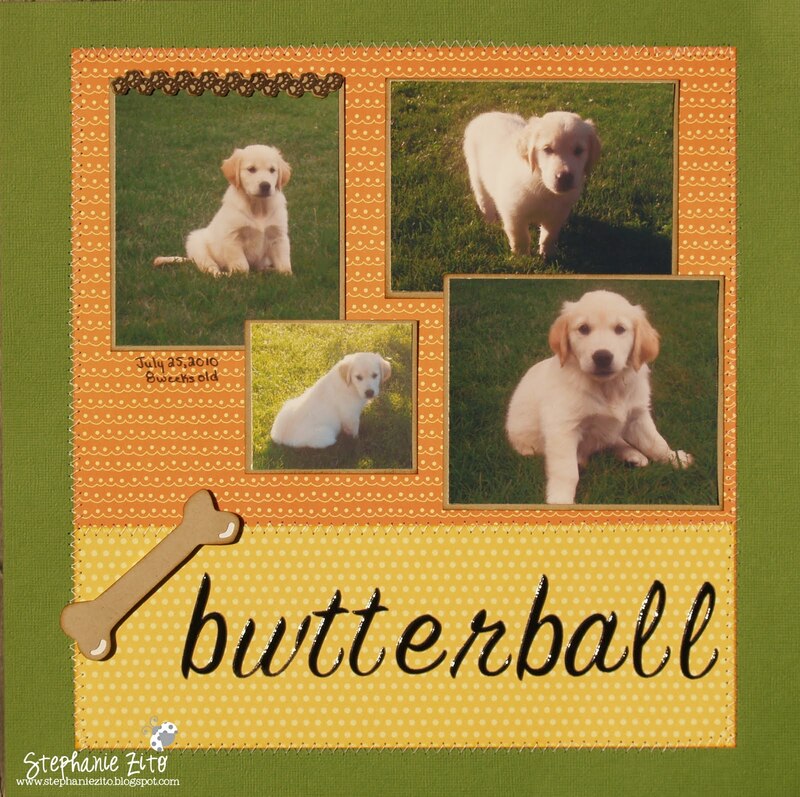 Butterscotch is so precious - and your page is perfect in the "butterscotch" colors!